Few weeks ago, I got a chance to assist Christine on a wedding shoot. I was really excited about the opportunity that was given as I have always wanted to shoot a wedding. The reason why I want to shoot a wedding is actually quite simple. I want to take good candid photos. I am never a photo taking person, maybe because I hate photo of me being taken when I'm young, eventually I avoid cameras. It's after I started blogging, I'm a person who is not good in writing, slow in planning what to write. For that reason, I started taking photos for my blog. Photos explains everything in one go. haha! From then on.. my blog is just full of photos and slowly I find myself really picky on the outcome of the photos that I took. Does the photo speaks for itself, is the photo good enough to show? After a while, I upgraded my camera from P&S to DSLR which gives me more freedom on what I wanted to create. I'm still learning in progress, going to short camera courses, randomly taking photos when I go out for a walk, and take lots of candid shots whenever we are celebrating birthdays for friends. I find wedding shoot is probably the most tiring job! A wedding photographer is everything! Most importantly is a set of Good Eyes for creative shooting and understand your camera well. I have to admit, I gotto salute to those part time wedding photographer. They got a full time job and during weekends they are shooting weddings. I have only shoot one wedding from 2-7pm non stop, I am already half dead when I'm having my dinner at 8.30pm! But I'm enjoying every moment of it, getting every photos to be perfect, because I want the Bride and Groom to have good memories of their wonderful day. Anyway, below are just some slide show of the photos that I've taken from the wedding and courses. Some gorgeous shots, well done! 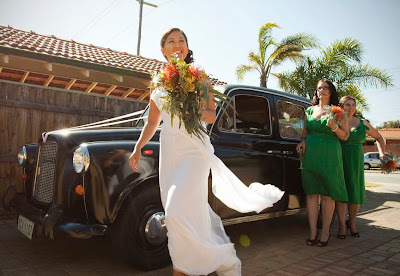 You're so right about a wedding photographer being much more than just a person to come and press buttons on a camera. I had my first experience being part of a wedding party last year, and I think one of the reasons why the photos were so great (apart from good photography skills and the fact we all looked fabulous ;) ) was because she put us all at ease. I need to brush up my "comedy" skills cuz communication is my main concern here. Hopefully I can do it one day!